Llanrothal is an isolated hamlet on the border of Herefordshire with Monmouthshire, Wales. 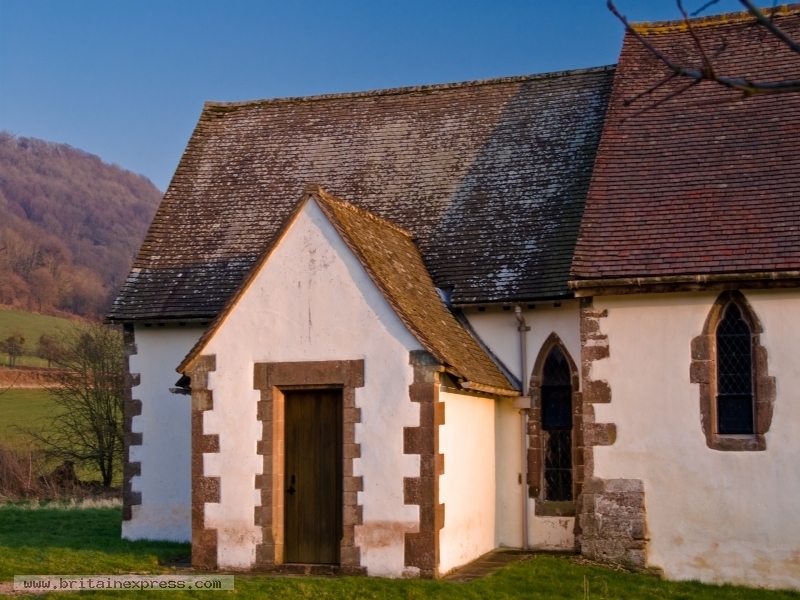 The ancient whitewashed church stands in a stunningly beautiful bowl of hills beside the River Monnow. It is a timeless place, and if you close your eyes you could imagine you've been transported back in time 1,000 years. The simple 12th century church has been redundant for some years now, but is looked after by the Churches Conservation Trust. One fascinating feature is the rather plain font, which is carved with a symbol of the Knights Templar.